Bristol is European Green Capital 2015, a title awarded by the European Commission. 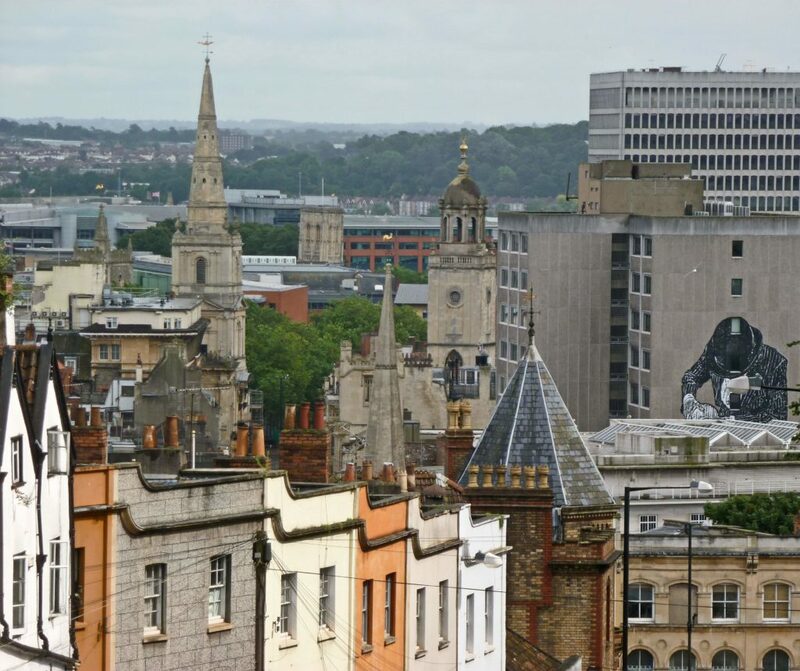 Between 2005 and 2009 Bristol’s carbon emissions have been reduced by 15%. The city council has developed a comprehensive climate change adaptation plan and invested in dozens of projects and actions. Between 2005 and 2009 Bristol’s carbon emissions have been reduced by an impressive 15%. With one of the highest rates of carbon reduction, this bright city in southwestern England has the lowest per capita carbon emissions among the large cities of the country. For these results and its long-term commitment to address the impacts of climate change, Bristol was awarded the title of European Green Capital 2015 by the European Commission. It is also the greenest city in the UK, having the largest number of environmental organizations outside of London. Built around the River Avon, in South West England, Bristol has an estimated population of some 440,000 and is the main center of culture, employment and education in the region. Climate change in Bristol will bring warmer and drier summers including heat waves, milder and wetter winters, higher sea levels and an increased flood risk. While committed to reducing its CO2 emissions until 2020 by 40% and by 90-95% before 2050, the city of Bristol is aware that climate change might still be a reality to deal with in the not so distant future. This notion led the city council to start developing a comprehensive approach to climate adaptation, that has been discussed over the last three years with support from other local authorities in western England. The first step was assessing the weather-vulnerability and climate-sensitivity of the services provided by the city. Over 100 Council officers and experts were brought together to discuss climate change threats and opportunities. The main strategy of the Council is to embed climate change adaptation into strategy development, risk management and key decision-making. In Bristol they realized that awareness regarding the possible impacts of climate change should shape long-term visions as well as everyday council business. A wide range of subjects was involved in discussing and developing the strategy: practitioners from adult community care to flood risk management, food specialists, asset managers and organizations such as the Environment Agency and the Schumacher Institute. In February 2010 the first Climate Change and Energy Security Framework was adopted, outlining actions for the following year. Over £20 million were invested in projects ranging from home insulation to the installation of solar panels in over 30 schools. Also, 40 ‘green’ community projects and the Catalyst Community Energy Fund were supported, the energy efficiency of Council buildings was improved, while new low carbon planning policy and transport plans were adopted. In 2012 the city decided to step out its efforts and adopted a new ambitious Climate Change and Energy Security Framework for the years 2012-2015, including over 60 actions addressing emissions from buildings, transport, business and city-wide activity. The Framework contains a planned capital investment of approximately £450 million, mainly destined to transport and energy infrastructure. Bristol has been an ICLEI member since October 2008. and participated in ICLEI’s Cities for Climate Protection Campaign (CCP).